27x13mm. Vintage plastic from Western Germany. New old stock. 27x13mm. 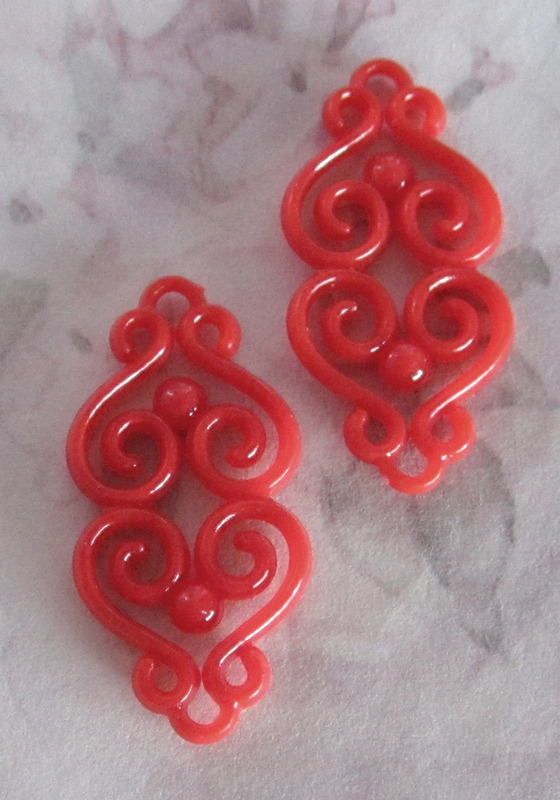 Vintage red plastic filigree connector charms from Western Germany. New old stock.